There are number of procedural issues that could prevent plaintiffs from prevailing in their personal injury lawsuits, or at least make it more difficult. That’s why you should always consult with an experienced attorney who understands how to handle such issues. One recent example surfaced in a personal injury lawsuit filed by customers who were injured while dining at Lemoni Cafe in October 2014. Two deposed witnesses sought protective orders to prevent the injured plaintiffs from interviewing them about their role in the incident. Several customers who were dining in Lemoni Cafe’s outdoor seating area were injured when a vehicle jumped the curb. They filed a personal injury lawsuit against the cafe and several other defendants. Lemoni Cafe had been cited by the city of Miami for operating an illegal sidewalk cafe. The defendants in this case argued that Miami was to blame for the incident because officials didn’t properly maintain the roads near the restaurant. Meanwhile, the plaintiffs sought depositions from several city employees to find out why Miami allowed the cafe to continue its illegal operation. Miami Mayor Tomas Regalado and City Manager Daniel Alfonso argued that the plaintiffs shouldn’t be allowed to interview them because there was no evidence that the city officials had information essential to the case. Regalado and Alfonso sought a protective order to prevent the deposition, but the court denied their petition. The plaintiffs had deposed other employees who couldn’t answer their questions about the illegal operation, so the court determined that it was necessary to interview Regalado and Alfonso. The city has filed an appeal. What Is a Deposition and a Protective Order? The discovery process is important for both sides in a lawsuit, and the deposition is an essential information collection tool. A deposition involves taking an oral statement from a witness before the trial (while the witness is under oath). The point of a deposition is to find out what a witness knows and to preserve his or her testimony. A protective order (in the discovery context) is a court order that prevents the disclosure of certain information. The court will issue such an order to prevent a party from making unreasonable discovery requests. In this case, Regalado and Alfonso essentially argued that deposing them would be unreasonable, but the court disagreed. Any time that a court rules in favor of a personal injury plaintiff is a victory for all personal injury plaintiffs. This ruling is important because it gives these plaintiffs access to information that could help them recover damages for their injuries. Contact a Miami personal injury attorney at The Pendas Law Firm today for a free consultation. 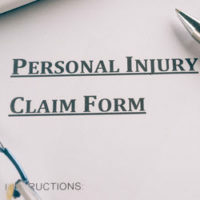 We know how to build an effective personal injury case and how to deal with procedural issues that could affect the outcome of your lawsuit, including motions seeking to curtail the discovery process. The Pendas Law Firm also represents clients in the Fort Lauderdale, West Palm Beach, Fort Myers, Jacksonville, Tampa, Orlando, Daytona and Bradenton areas.